Turkish Airlines (THY) and Royal Brunei Airlines (BI) have signed a codeshare agreement to allow passengers to connect from Bandar Seri Begawan to Istanbul via Dubai. The agreement was signed in Antalya by Karam Chand, Royal Brunei Airlines' Chief Commercial and Planning Officer; and Ahmet Bolat, Turkish Airlines' Chief Investment & Technology Officer. Under the codeshare agreement, Turkish Airlines will add its TK code to Royal Brunei Airlines-operated flights from Bandar Seri Begawan to Dubai and vice versa. On a reciprocal basis, Royal Brunei Airlines will add its BI code to Turkish Airlines flights from Istanbul to Dubai and vice versa. The codeshare will start Feb. 22, 2016. 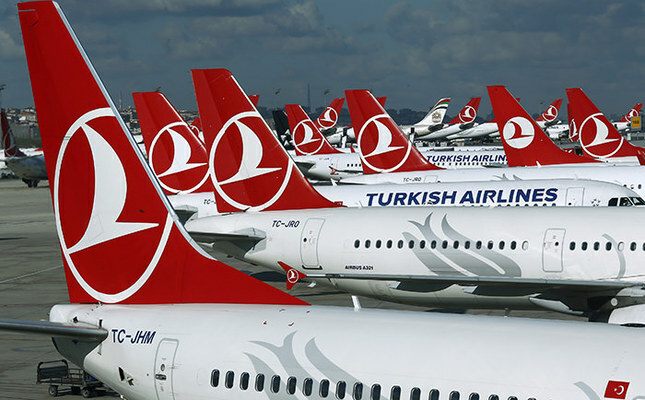 Star Alliance member Turkish Airlines is a four-star airline with a fleet of 289 (passenger and cargo) aircraft flying to 277 destinations worldwide -- 229 international and 48 domestic.